The basic training of 44th batch Sub-Inspector/Exe (SSC CAPFs-2016) is scheduled to commence at CISF National Industrial Security Academy(NISA) Hyderabad and CISF Regional Training Centre(RTC) Deoli (Rajasthan). The training of candidate having all India Ranking up to 1592 is scheduled at NISA wef. 15-01-2018 and accordingly Offer of Appointment (OOA) along with enclosures have been dispatched through Registered Post to all concerned with direction to report at NISA Hyderabad on 12-01-2018. The same will also be provided through SMS link on the candidates given mobile Number. 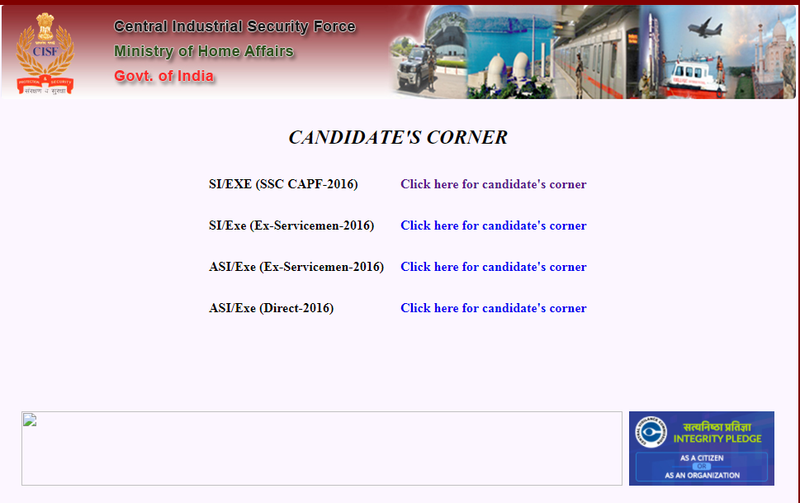 The remaining candidates will be called for trining at CISF RTC Deoli (Rajasthan) scheduled to commence wef. 19.02.2018 and their OOA will be issued from RTC Deoli in due course. The SI/Exe (Ex-service Men Category) will be called for training at CISF RTC Arakkonam(TN) scheduled to commence wef. 12.02.2018 and their OOA will be issued from RTC Arakkonam shortly.